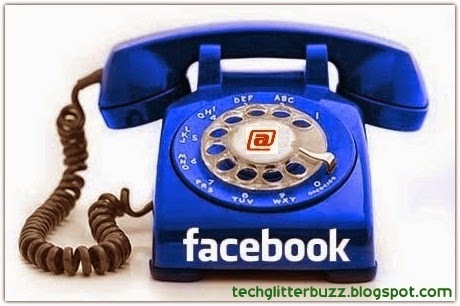 Facebook has added one more feather of Voice Call option to their crown of services. I mean to say that Facebook has introduced Free Voice Call feature in India. But this feature is restricted to users of Messenger App only. For rest of the users this feature was not made available. Initially Facebook has rolled out this killer feature in USA and Canada last year. And now its turn of India to get this update. Facebook has released this killer feature along with the updated version of Facebook Messenger in the second week of March, 2014. With this Free Voice Call option you can make free calls to your friends who are in other countries also. With this feature you can make free call to your friends in friend list but data charges will be applicable for these free calls. But one thing you should keep in mind is that you can call to the friends who are using Facebook Messenger App in their Smartphone. The update of Free Voice call feature is updated for both IOS and Android Facebook Messenger Apps. This free call option works in on all the Internet connections like 2G, 3G and Wi-Fi. But call quality is superior in Wi-Fi connections when compared to all. Facebook Messenger was released on August 9, 2011 for both IOS and Android. Open Facebook Messenger App in your Android smartphone. Then select a conversation thread of a friend from friend list, who have Facebook Messenger App in their smartphone. Then select icon on right side top of the screen. Then call gets connected to your Friend you have selected. You can call a friend if he is in online only otherwise you can not connect a call to your friend although he has Messenger app. In Android call interface is simple and is almost similar to normal mobile calls. Interface contains Facebook cover page as background and profile pic at the center. And at the bottom of screen you can speaker, Mute and navigation buttons. Go to IOS Facebook messenger App. Then select a friend from their conversation list. Then tap on the three dots (for new version) or "i" icon (for older version) on the top right side of the screen. Then select the "Free call" option from the displayed options, which will make you connected to your friend. In IOS the call is notified to the users by the Push notification with the name of caller on the top of the screen. You must note that you can not make Free Voice calls to your Facebook friend, who is presently logged in through normal mobile, Facebook website. To makes Free Voice call, both you and your friend should have Internet connection to smartphone equipped with Messenger App. After the end of free voice call a window is displayed asking you to rate the call quality. Earlier in March, Facebook has introduced this Messenger App for Windows Phone 8. But unfortunately this app in Windows Platform does not support the latest features like Free Voice call and chat heads. Let us hope that his free voice call option will extend for more platforms like Windows based Phones, through website, Firefox operating system and the users. Facebook has been updating their features and adding new features time to time. Let us see what is their next update. If you have any queries, comment below. We will reply to your query as soon as possible. 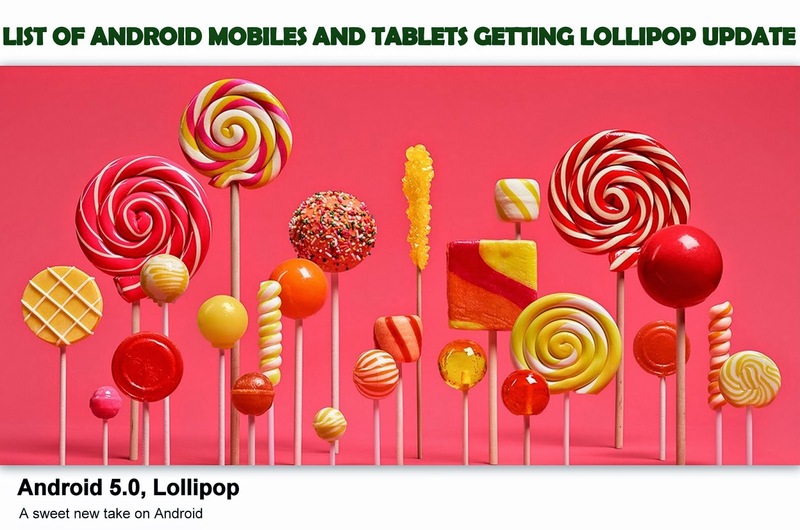 Finally, Google officially named their latest version Android OS as "Android 5.0, Lollipop", with a tag line of "A sweet new take on Android". Android 5.0, Lollipop looks very impressive and good. this announcement of new update from Google is bitter news for some people and sweet news for some other people. Because some may get that latest update and some may not get it. in order to confirm whether their device will get latest update or not people tend to ask "will my device get Android 5.0, Lollipop update?". Fortunately many smartphone vendors are interested and concentrated on providing Android 5.0, Lollipop update to already existing devices. But it may take some time to get that update by you. It may occur around starting of 2015. Some Flagship devices are willing to provide this Lollipop update by the end of this year i.e., 2014 itself. The list of Android devices that are scheduled and expected to get Android 5.0, Lollipop update is presented below. Here I am presenting the list of devices that will get Lollipop update, based on official announcements by the respective vendors (NOTE: This list may vary). Google designed and released Android One devices to provide high end mobiles to users at low cost in collaboration with Micromax, Karbonn and Spice. And during their release Google announced that they will provide latest updates to those devices. Based on this we can expect that the below listed three devices will have Lollipop update. As we all know that Nexus devices are Google devices and they will be in first position to receive latest updates From Google Android. Google also announced that they will release two new Nexus devices with Android 5.0, Lollipop OS. They are. Congrats to above named device holders fro getting latest Lollipop update. you can be proud that your device is up to date. The above list include officially announced and expected devices. If your device is not named in above list, comment your device model name below in comments section. We will inform you whether your device is scheduled for Lollipop update or not.